"If his last best selling 'Stand Or Fall album was a call to arms, then 'A Better Man' lives up to its conceptual title as a celebration of everything that makes Marcus one of the most exciting rock/blues bands in Europe." 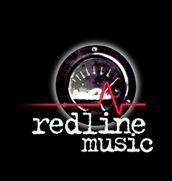 Now Redline Music release ‘A Better Man’ in April 2017 – the first album from Marcus since ‘Stand Or Fall’ – will be available on both CD and vinyl formats. Produced by Marcus; mixed by Marcus and Jerry Stevenson; engineered by Roger Cotton. Featured players once again include Alan Glen (The Yardbirds, Nine Below Zero) on harmonica and bassist Winston Blissett (Massive Attack) and guitarists Julian Burdock (24 Pesos), Stuart Dixon and Sean Nolan. On keys again is Moz Gamble (24 Pesos) and long standing drummer for Marcus - Chris Nugent. The title track 'Better Man' is once again written by Marcus and William Burke.